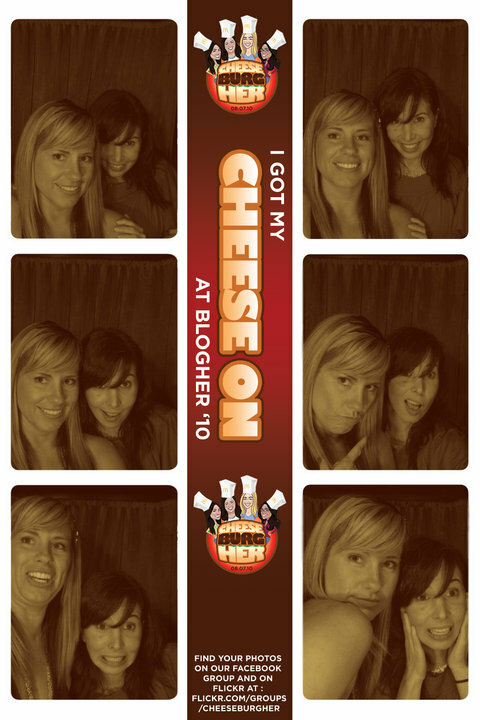 Alright, one last Blogher recap. I know, I know. Last year I remember people talking and talking about the Blogher conference and wishing they would move on already, and here I am blathering on about it for three posts . But I suppose that for many of us, who spend our days in a groundhog’s day existence of diapers, swiffering and playdates, that a few days in New York City is a whole lot of excitement and grist for the blogging mill. On Friday, the conference officially started. Unfortunately, I was up until 4am the night before. Not by choice . . . in fact it was really frustrating. I think it was a combination of my body still being three hours behind, and the way my brain was racing with thoughts of ALL. THAT. SOCIALIZING. I have a hard time settling down to sleep after any big social event, be it girl’s night, a party, dinner with friends, etc. But at Blogher, it all seems so magnified because instead of one party, you are hopping to several, and meeting SO many people, most of them people you have never met before but feel like you know because of their blog. So at night my brain was buzzing, as I rehashed every interaction and worried whether or not I had adequately expressed admiration without seeming stalkerish, or fretting over the fact that I had not had more time to chat with certain people, or whether or not I was succeeding at seeming fun and friendly because my default mode of morose and sarcastic? Not so approachable. Anyways, I hate this about myself – this racing brain anxiety thing, and when I saw that the clock said 4am I realized that the 7am Tutus for Tanner 5k was probably not going to happen for me. Which really sucked, because most of my friends were going, and I had been given a darling Team Sparkle tutu for the event, and taken up precious suitcase space with stinky running shoes. But more than all that, I was bummed because it was a great cause, for a blogger I adore. At 4am I turned off the 6:30 alarm and fell asleep. I accidentally woke up at 10:30, and I was supposed to be hosting the Serenity Suite at 11am. And thus began my first full day of Blogher. In addition to missing the 5k, I also missed the opening breakfast and the blogger speed-dating session, both things I was excited about. I tried not to have a full-on freakout that I had managed to miss the entire morning of a two-day conference. I also tried not to freak out that I would not have time to blow-dry my hair on the first full day of the conference. Both thoughts were equally horrifying. With wet hair and a wrinkled shirt, I made my way to the Serenity Suite, the brain child of my brain twin Heather and her friend (and soon to be co-author) Maggie. It was a space they created for people to come and decompress from the madness of the conference, and it was the perfect way to start the day. It ended up being an amazing solace spot for a lot of people (and also a space for an impromptu 12-step group . . . love that). I had lunch with my roomie Christine and new friend Meagan (whose writing about her attachment journey with her new son is something I wish I’d discovered sooner, because we are living parallel lives right now). After lunch, there were four session options but none of them really appealed to me, so when I hooked up with Alison Alyson Allison and she said she was gonna wander Times Square with Kacia, I was in. Little did I know this would be the only session I would have time for . . . but we’ll get to that detail in a minute. When we got back from sightseeing it was time for the Community Keynote, where thirteen bloggers read what were determined to be the best posts of the year. This was amazing. The writing was so good, and yet so varied . . . from lesbian divorce to breast cancer to a rap about Twilight. We laughed, we cried. It sort of all clicked as to why we were all gathered there for such an insane weekend. For the love of the writing. After the keynote, there was about 15 minutes to change for the big Blogher Gala – so I ran upstairs and experienced a zipper malfunction with the dress I was planning to wear (you know, that thing? Where it comes off the track and you can’t get it to go up or down?). So I spent a frantic fifteen minutes trying to figure out what else to wear and then another fifteen minutes trying to figure out how to get the hotel iron to work, and then another 15 minutes trying to straighten the hair I failed to blowdry, that was now 37% it’s normal size from walking around in the New York humidity. I was really, really late to the gala, and by the time I got there a lot of people had left. And again, I had this sinking feeling that I was really sucking at Blogher. By Friday night, I had given up any illusions that my Pacific Time body was going to fall asleep before 3am. So when I walked back into the hotel lobby in the wee hours just at the time a crew was headed out to karaoke, I didn’t need a lot of arm-twisting. Especially because it was such a fun group of girls, most of whom I had the pleasure of meeting when I spoke at the Casual Bloggers Conference. 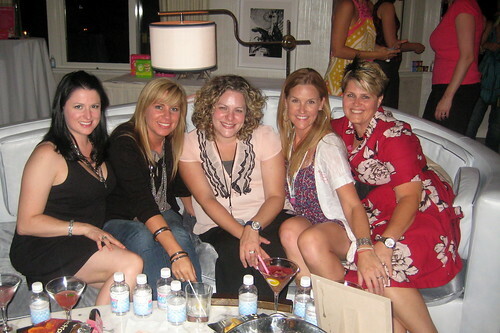 Marie, Allison, Carina, Susan, Kami, Jenny, and Ashley . . . seriously, these girls could be going to a John Deere convention and I would sign up just because they are so much fun. Not to mention, all of the totally get my own personal vision and groundrules of karaoke, which is that karaoke should NOT be a place for ballads or actual singing. It should be a place for bad 80’s tunes, loud singing, and air guitar. I don’t know how to explain what happened that night in that underground karaoke bar in midtown. All I know is that by the end of the night, all of us were best friends. And not just the girls I came with. The weird couple in the back, the nerdy boy who came alone, the Asian couple, that guy named Mike and his two really drunk girlfriends – there was a lot of love in that place. And a lot of white people singing hip-hop. The next day I had a busy schedule. I hosted the Serenity Suite in the morning, and then a lunch table for adoption bloggers. After lunch I had my interview with Project Mom Casting, which went really long. The good news is that while I was waiting for my interview, I got to meet a lot of amazing bloggers – many of whom I’ve admired for years. The bad news is that by the time my interview was over, I had missed the two afternoon sessions. So – let’s review. During the entire conference weekend, I missed every single session and only made it to the community keynote. And a lot of parties. It’s like a bad freshman year, where you realize that you just partied, got too little sleep, spent a lot of money you didn’t have, and learned absolutely nothing. I think I might have also gained 15 pounds. I still don’t know how to efficiently upload photos to my blog (hence the 7-day delay in this post), or how to properly edit my photos (still rocking Microsoft Paint over here), or how to update my facebook page remotely or how to do SEO or whether or not I really need to move to wordpress or any of the other things I was hoping I might learn at this conference. But you know what I do know? Ashley does a mean Eminem impersonation, Georgia is very nice (and not at all bossy) in person, Christine is a pastor’s wife who happily wears condom earrings, Jill is not scary, Esther is even more adorable in person, and Jenny knows all the moves to the Beyonce Single Ladies video. So . . . there’s that. Saturday afternoon, I also missed the dinner with my fellow Grown in My Heart writers, which was another letdown, but I was shaky and exhausted and knew I needed a nap if I wanted to avoid a meltdown before the night o’parties. And a night o’parties it was – starting with Blogalicious, and then Sparklecorn (thrown by MamaPop) and finally, Cheeseburgher. These parties were the most fun of the conference, due in no small part to the fact that they were a) open invite b) devoid of product pitches and c) focused on dancing to fun 80’s and 90’s music. I had a blast, and managed to get through the evening without my feet bleeding. The next day, I skipped the brand breakfast I had been invited to (since I spent the weekend skipping things, why stop now?). As I do on every trip to New York City, I was getting that insatiable urge to try to see every broadway show possible. Linda and I schemed all morning trying to figure out how to see two shows in one day. We saw the matinee of Memphis (loved it), ate dinner at the legendary Sardi’s (loved it) and then were joined by Theresa to see Next To Normal (psychotically loved it). After the show, we took a horse-drawn carriage ride through Central Park – something I never would have done myself, but ended up being an idyllic end to our quintessential New York day. I had so much fun with these gals, and since we were all on west-coast time, we hooked up with another SoCal friend (Sugar) and headed down to the Standard Bar in the meatpacking district. We laughed at how we had managed to choose the most LA spot in all of New York City, but redeemed ourselves by ending the evening at Hogs and Heifers, were the four of us were mercilessly mocked by a bartender with a bullhorn. So much fun. In retrospect, the weekend was a lot of fun, even though I walked away without learning much, and with the realization that if I go again, I need to adjust my expectations. It is a crazy, manic experience, and I didn’t feel like I got enough time with any one person, but that is probably just not possible with that many people in one place. Okay, I promise, I’m done talking about Blogher. Humiliating stories about my daily life to resume shortly. Well, except that I might rant about the anti-formula drama, and I might finish that post where I query whether or not it’s appropriate for a bunch of white people to use the N word gratuitously in background music on their Blogher recap, when most of us would agree it’s not okay to say or write. Or I might just become distracted and these half-finished screeds may become yet another memory in the graveyard of drafts in my blogger dashboard. Only time will tell. 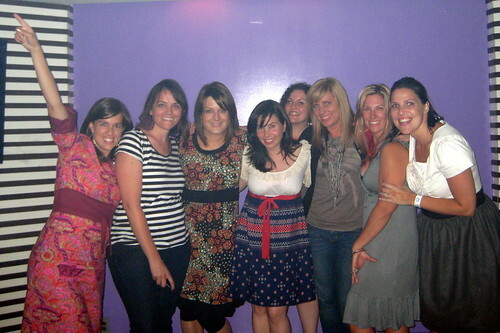 If you’ve written your own Blogher recap? Well, scroll down and link it up. And here is a whole bunch of pictures in random order because how to easily reposition photos on my blog? That’s another thing I didn’t learn at Blogher. Here are some of my favorite recaps of the weekend. Did you write one? Or maybe a post about how sick you are of reading other people’s posts about Blogher? Link it below.